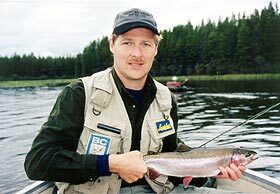 British Columbia's West Chilcotin offers some of the finest fishing anywhere. Whether you like to troll, spincast or flyfish, the choice is yours. 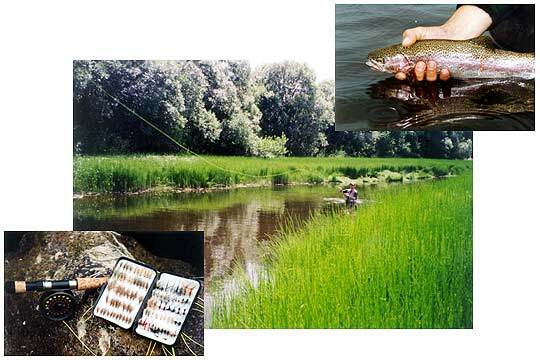 Anahim Lake is very productive and lends itself to fly fishing due to the aquatic life with many bays and weed beds. The fish range from ¾ to 2 pounds or larger. The Upper part of the Dean River flows through Nimpo Lake and Anahim Lake before making its descent to the Pacific. This river is a Class II water and has special restrictions. Fly fishing this stream is a must for every fly fisherman and opens June 16. 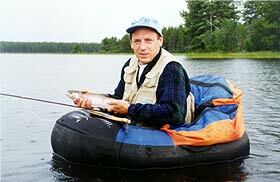 Other nearby lakes contain healthy populations of rainbow trout. At Escott Bay Resort, we can assist you in getting to them. We also keep equipment there for your use. Some of these lakes have a larger trout, which will weigh up to six pounds or more. Our tackle shop is well stocked for your convenience and licenses are also available. 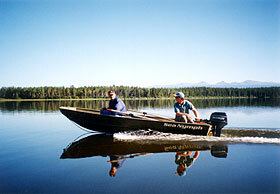 We offer an excellent line of boats, motors, canoes, pontoon boats and waders. 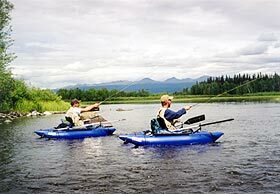 Fish guiding is available for guests who require this service. We can process your catch by freezing or smoking. We also have float tubes, paddleboats, and personal pontoon boats available. 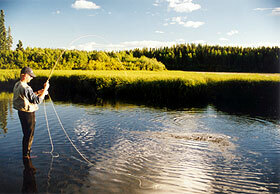 We can arrange fly out fishing trips to remote lakes to add to your fishing experience. Full packages are available. These can include flights from Vancouver, meals, accommodations, full use of boats and motors and guiding services if required. Please enquire for pricing details.